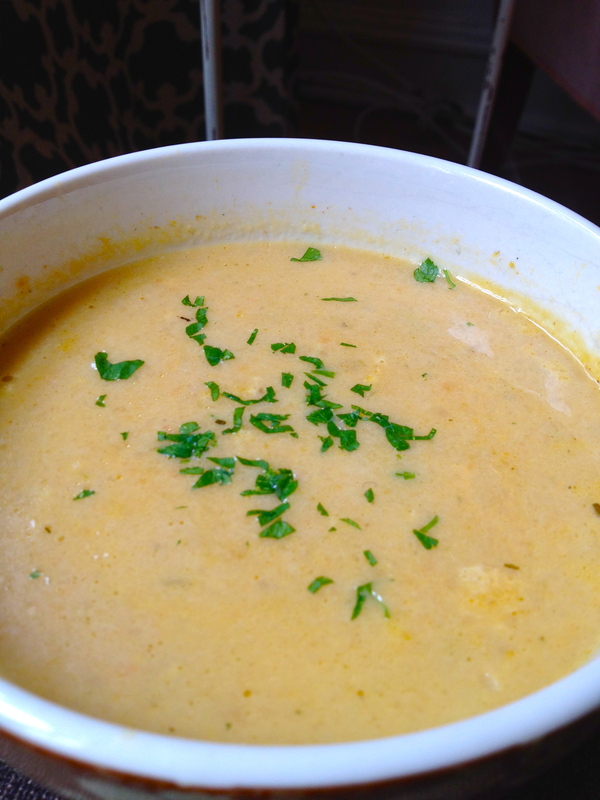 Celery Root and Sweet Potato Soup. I’ve been wanting to try this type of thing for a while. Have you ever noticed, while you wander through the grocery store, a really knobby, homely-looking reject vegetable? One that looks like something went wrong when a normal vegetable was growing and it came out all messed-up? That’s celery root, also called celeriac. It’s notorious in the culinary world as one of those foods that many home cooks tend to shy away from, never knowing its versatility and great flavor. I hope to learn a lot more about celery root and to have some more recipes up here in the near future! 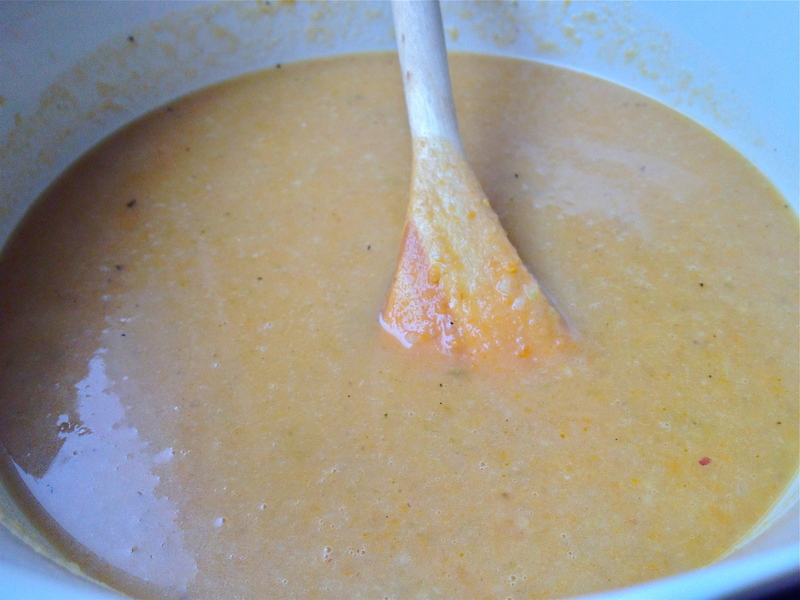 For now, this warming, pale orange soup is just lovely, despite celeriac’s homeliness. Thank you to Frugal Feeding for the inspiration. Heat oil and, if using, 1 tbs if butter in a large soup pot, and add onion and celery. Cook until translucent, stirring occasionally. 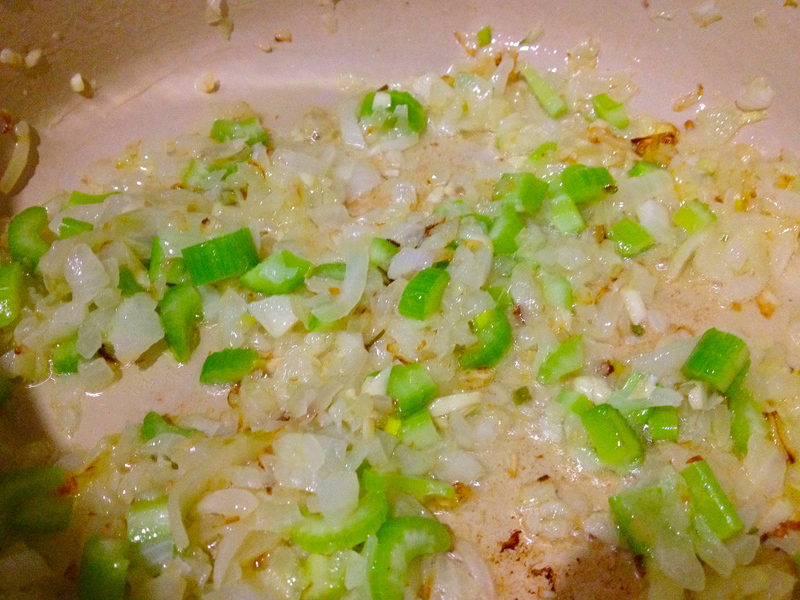 When the onions are nearly there, stir in the garlic. Add the celery root and sweet potato and cook 5 minutes. 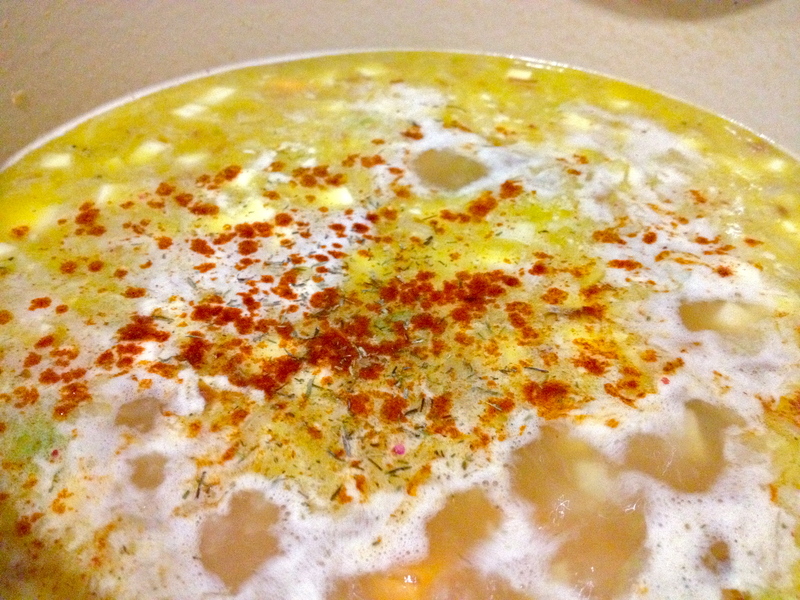 Next, pour in the stock and add your thyme, paprika, salt, pepper, and bay leaf. If you’re using butter, add the second tbsp here and stir in to melt. Simmer, stirring occasionally, until the sweet potato and celery root are totally soft. Remove from heat and puree in batches, either using a blender or food processor, or, if you’re lucky enough to have one (I do not!) use an immersion blender. Pour in the half and half and stir, and you’re ready to serve! Garnish with fresh chopped parsley. 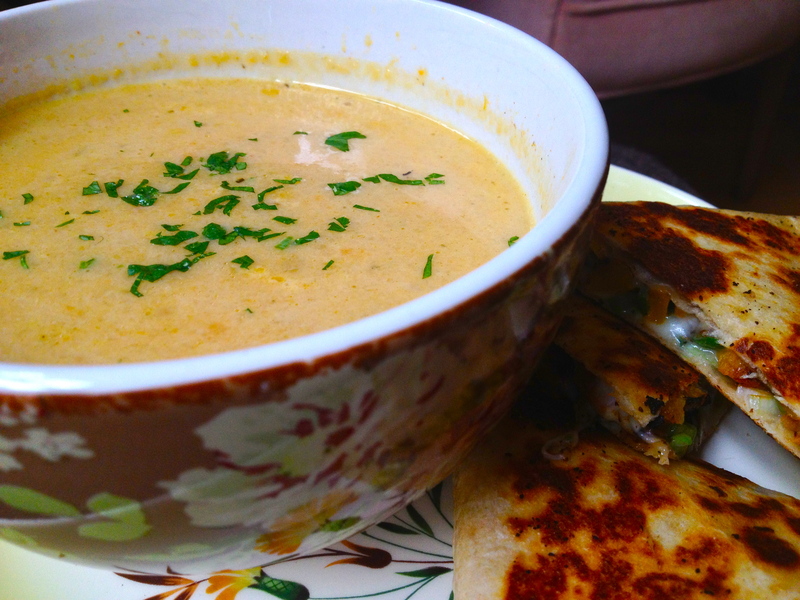 I had a nice little lunch of this soup with a butternut squash and green onion quesadilla. Previous Egg in the Pepper. Next Scarborough Fair Roast Chicken. I know – I think it gets my vote for goofiest-looking vegetable. So good though! I had been meaning to for so long, and now I don’t know what else to do with it – the only thing I knew I’d like it in was a root vegetable soup! Any ideas for other ways to use it? Well, I’ve heard that celery root puree is a nice alternative to mashed potatoes. Other than that, I’ve mostly seen it in soup recipes. Thanks :) and easy too!